While not everyone will require nursing home care when they are older, most of us will need some additional help in providing for our personal needs and maintaining our independence. Relying on children or younger relatives to assist you is not always a realistic option, and failing to engage in financial planning for future nursing home and community care costs is a gamble that could wipe out your life savings. For your own financial security and that of your loved ones, it is important to realize the exorbitant price this type of care costs, and to look at your options now for how you will meet these potential expenses. Pension benefits, money saved through your retirement fund and through healthcare savings plans, and other assets can be used to meet your long-term healthcare costs, but it is easy to see how even a decently sized nest age could be depleted quickly. Selling your home to finance a move to an assisted living or nursing home facility is always an option, although not a realistic one if you have a spouse or other family members living with you. 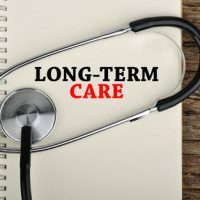 Long term care insurance has become an increasingly popular option to cover potential long- term health care expenses. A 2015 CNBC report advises that while these plans can be quite costly, with policies ranging from $3,000 and $6,000 a year, they end up paying for themselves in the event you require a high level of care. The Medicaid program pays valuable benefits for nursing home and community based services, but income restrictions apply. You can work towards ensuring financial eligibility for Medicaid now by reducing your income and assets through the use of trusts, by transferring ownership, or by simply gifting these assets outright, but it is important to do so before you require Medicaid services, as there is a five year ‘look back’ period when determining eligibility. Take the steps necessary to ensure your loved ones are provided for while planning for your own financial future and contact our experienced New York asset planning attorneys at Cavallo & Cavallo today. As your neighborhood law firm, we act as a trusted legal advocate, guiding you to the solutions that best suit your needs, while always ensuring your interests are protected.